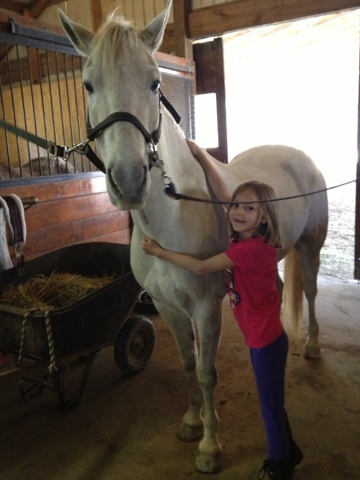 Since Alaina has started horse therapy, Olivia has also taken an interest in riding. 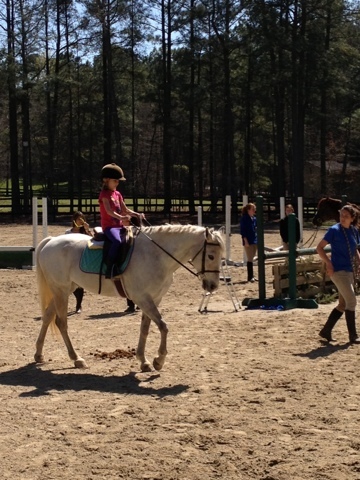 There was a deal for a couple lessons at a farm near our house so I signed Olivia up. 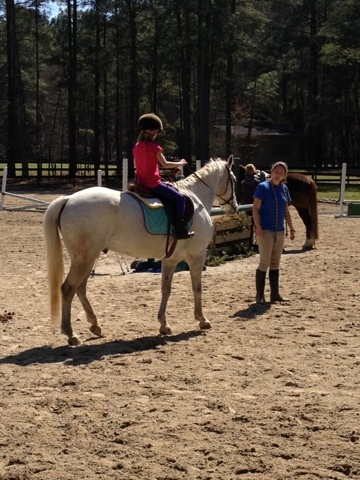 Olivia started the lesson with grooming and tacking her pony, Raindrop. 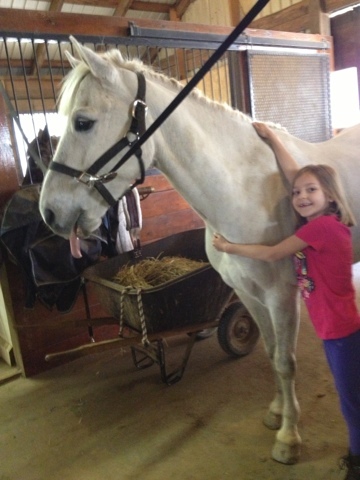 Also, check out that horse tongue, ha! She enjoyed the lesson so we will be back next week for round 2. Alaina even made a kitty friend! What fun for Olivia. She looks like a natural. 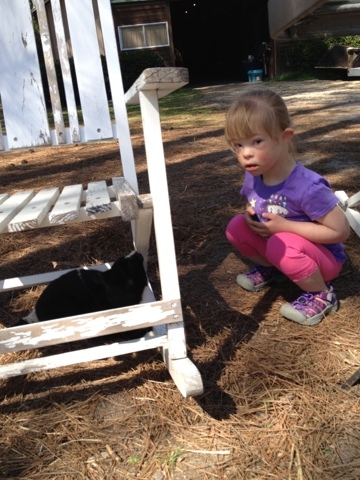 And, I think Alaina needs a kitty at home (well, maybe).